Experience true country life in South Africa where we all live in harmony. Sheep, cows and even guinea fowl stroll around at leisure. You might see rabbits running around between the bushes. Take a walk down to the ponds and the river, which is an excellent place to have a picnic. There is no shortage of good restaurants, coffee shops and hotels in the area. Bakery, pizza, Portuguese, Chinese, waffles and pancakes, hamburgers, steak, buffets. You will certainly not go hungry and you don’t have to stress about cooking. There is no shortage of activities for the adventurous person. 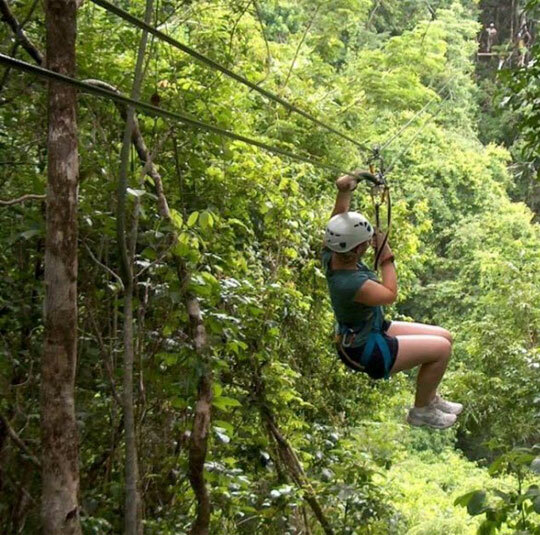 Abseiling, canopy tours, zip lines, quad biking, helicopter tours, horse riding, hot air balloon flights, kloofing, motor bike trails, paint ball, quad bike trails, white water rafting are available in the Cathkin Valley. All sports – squash, volley ball, rowing, mountain biking, archery, golf, bowls, fly fishing and cycling are available within a short drive from Acorn Cottages. Other guests include the Bald Ibis, Sacred Ibis, Glossy Ibis, Ha Hadedas, raptors abound and owls tap-dance on your roof at night. Our newly established birders route provides birders with Mountain, Grassland, Riverine and Wetland birding habitats. Even Lbj’s are found in numbers. 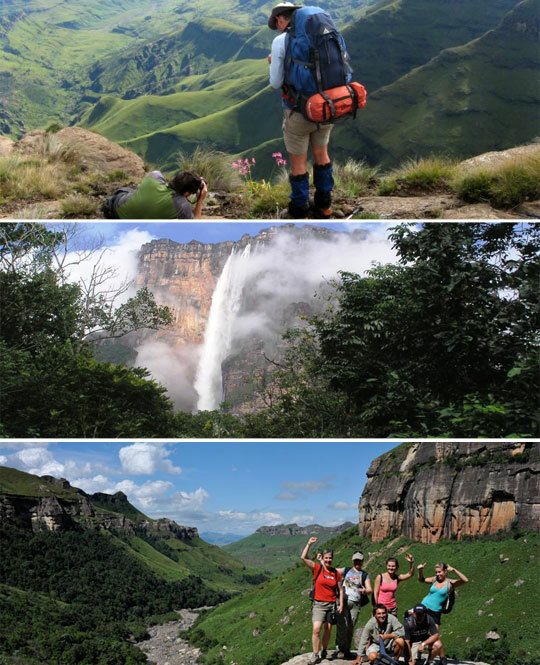 Popular hiking areas that are within reach from Acorn Cottages include Monks Cowl, Cathedral Peak, Royal Natal National Park, Injisuthi and Giants Castle. Some of the long and more difficult hikes include the peaks of Champagne Castle, Sterkhorn, Amphlett, Intunja (Gatberg), Cathedral Peak, Amphitheatre, Injisuthi as well as various passes in the Giants Castle area. Take a long drive to Witzieshoek and climb up to the top of the Amphitheatre and hike to the start of the Tukhela waterfall. Shorter hikes in all the above areas will take you to various amazing waterfalls, cascades, pools and even Bushman paintings. Skarlien will give you guidance and advice on the different routes. 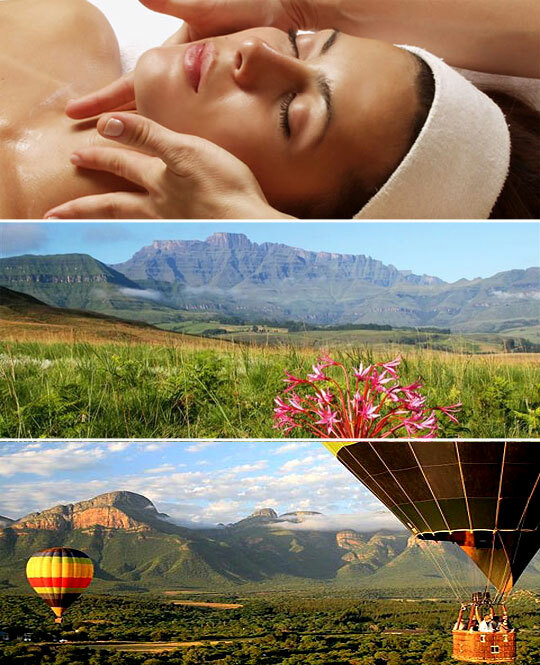 We are situated within easy reach of Johannesburg (+/- 4 1/2 hours), Durban (2 1/2 hours), Kimberley (5 hours), London (14 hours) and New York (16 hours backwards!). We are convenient for happy family reunions and weddings in the mountains. Acorns in Champagne honeymoons and anniversaries are very popular. Everything is however, not just about adventure. A visit to the Cathkin Valley is not complete without a visit to the world famous Drakensberg Boys Choir. Close to the Boys Choir you’ll find another amazing show at Falcon Ridge where these birds of prey fly most mornings. After all the action, there are a few splendid massage spas in the area where any remaining stress and sore muscles can be treated. You will leave revitalised and relaxed.